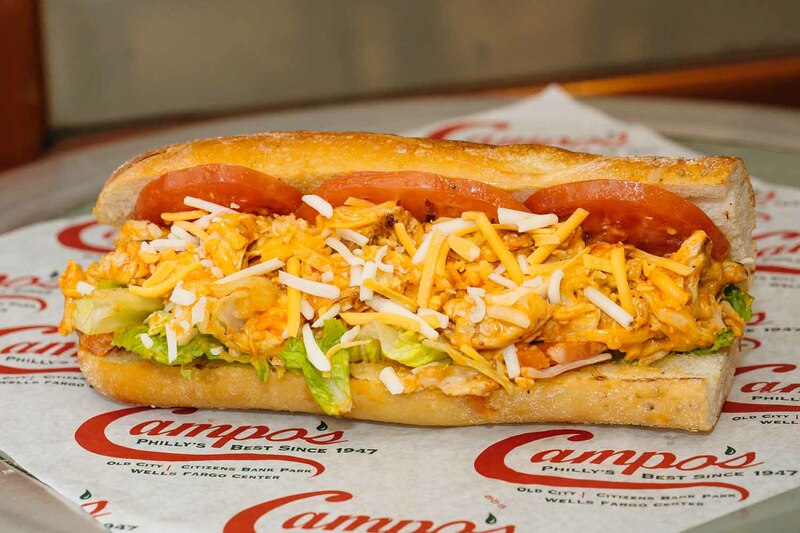 Campo’s is a Philadelphia sandwich shop that specializes in local favorites. 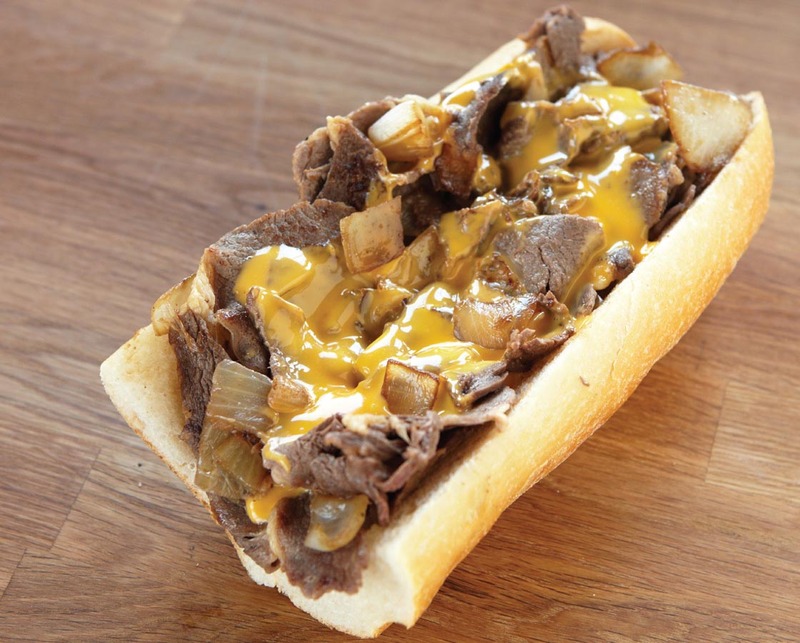 That includes cheesesteaks, hoagies, roast pork sandwiches, and other classic hot and cold sandwiches. 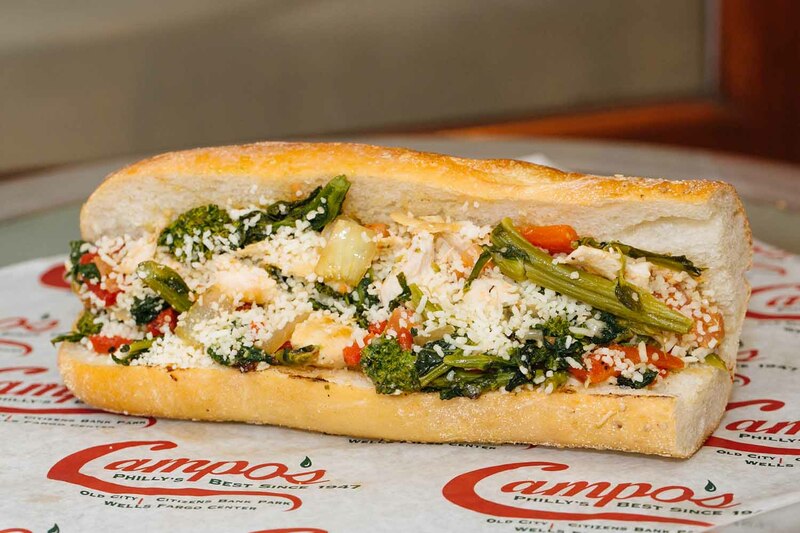 Campo’s has been in the food business since 1947, which gives our sandwich shop a legacy and a sense of local spirit that can’t be replicated. At Campo’s, we take great pride in every sandwich. The sandwich bread, the meat and cheese, and even the beer we offer on the side are all sourced from our local Philly partners. You can’t call yourself a Philadelphia sandwich shop if cheesesteak isn’t on the menu, and at Campo’s we take the Philly favorite to the next level. 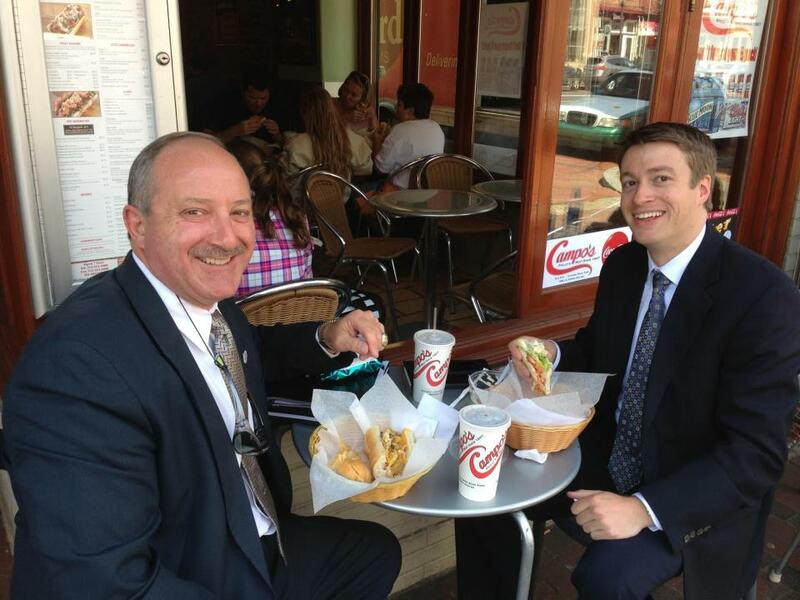 If you’re looking to try the best cheesesteak in Philadelphia, then come visit Campo’s! You can also try a fully loaded cheesesteak with sweet bell peppers, mushrooms, grilled onions, and provolone, a spicy “Heater” with jalapenos and buffalo hot sauce, a chicken cheesesteak made with an all-white fillet, or a vegan or vegetarian cheesesteak packed to bursting with veggies and vegan cheese, Campo’s has a delicious option for you. Can’t get enough Campo’s? 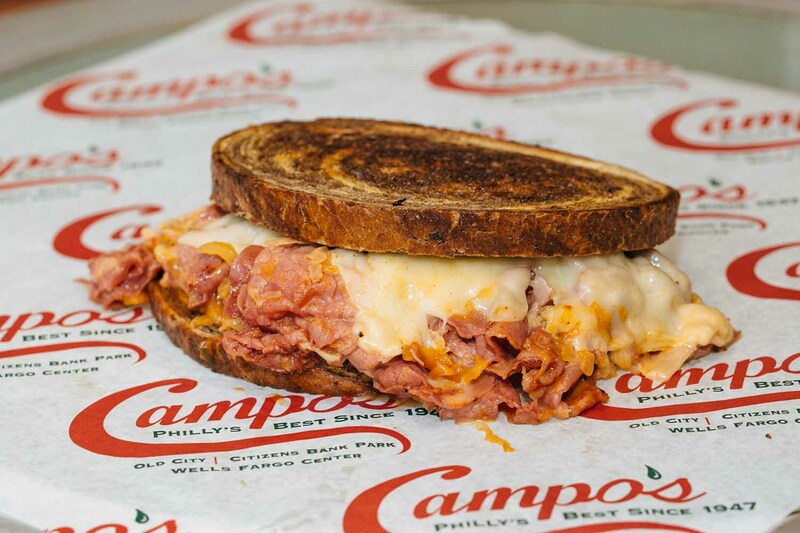 In addition to serving customers at it’s convenient location in Center City, Campo’s is a Philadelphia caterer. We’ll cater your event and provide a combination of our delicious sandwiches and homemade favorites. Or if you’re craving a Philly hoagie, look no further. 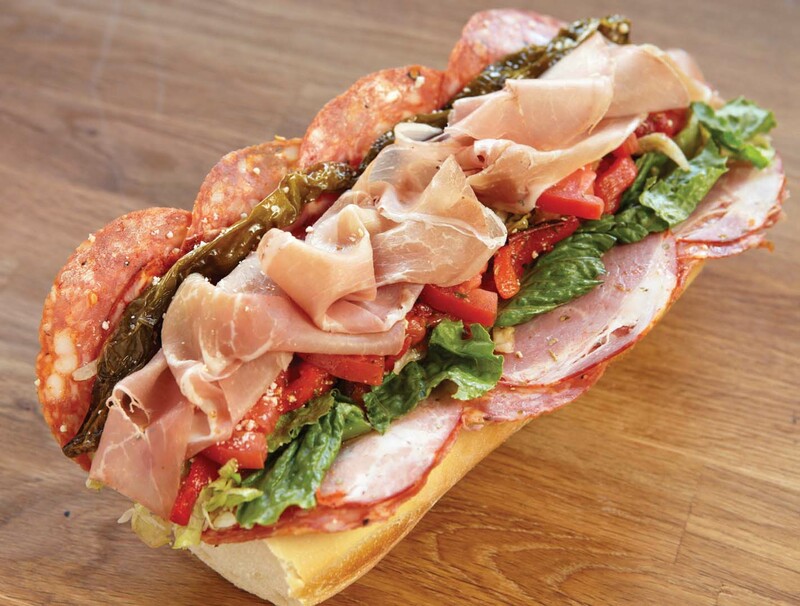 Campo’s is a sandwich shop Philadelphia that offers up everything from a classic and comforting ham or tuna salad hoagie to a mouth-watering Italian Special with Dilusso salami, ham capicola, peppered ham, pepperoni, prosciutto, and provolone. Campo’s has also perfected the homemade roast pork sandwich, another local staple, the grilled sausage sandwich with grilled peppers and onions, and the sausage parmigiana, a true comfort food dish that features a hot or sweet sausage smothered with homemade marinara sauce and provolone cheese. You can enjoy these flavor-packed sandwiches with or without broccoli rabe, spinach, or long hots. One must-try sandwich is the meatball with provolone. The meatballs are made with love from a special and long-held Campo’s family recipe, using only the finest, freshest ingredients. There’s nothing quite like it! It’s the type of sandwich that will make us your favorite sandwich shop in Philadelphia PA. The chicken breast sandwiches are another fan favorite, thanks to the juicy and flavorful all white chicken fillets. After eating one of Campo’s creations, you’ll never think of chicken as a boring choice again, thanks to sandwiches like the Oink! (chicken, bacon, provolone, bell peppers, grilled tomatoes, and onions), the Wing Ding (chicken, bleu cheese, and hot sauce), and the Godfather (chicken, broccoli rabe, sweet roasted peppers, sharp provolone, grilled onions, and tomatoes). Another thing that makes Campo’s stand apart from other Philadelphia sandwich shops is its bread. Campo’s sources most of its baked goods from two local bakeries, and when you order a sandwich you have the option of seeded or regular Italian bread, a gluten-free roll, a vegan roll, or a whole wheat wrap. Plus, any sandwich can be served without bread, on a bed of Romaine lettuce. Since so many people can’t get enough of our delicious sandwiches, Campo’s now offers “Good to Go” thermal travel bags for take-out orders. The bag is specially designed to keep cheesesteaks, hoagies, and other sandwiches warm and fresh for you to enjoy at home, whether that’s a five-minute or a five-hour trip away from Philadelphia.